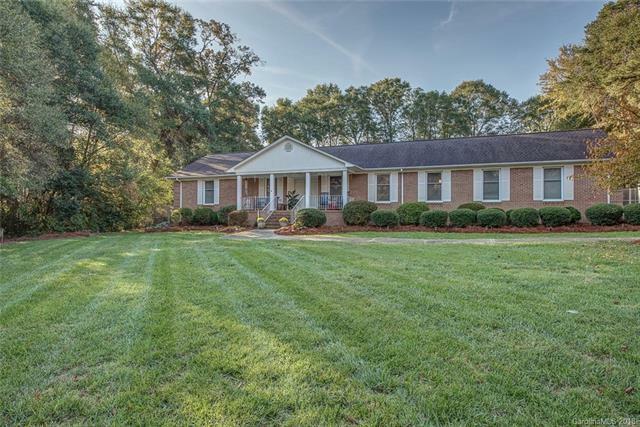 Stunning one of a kind brick ranch on over an acre featuring: covered porch, screened-in porch, beautiful pool, 40 x 18 covered parking for RV or boats, fenced-in backyard, manicured landscape, & more. This 3 BR, 2.5 Bath offers granite kitchen counters, updated bathrooms, wood laminate flooring, & gorgeous built-in bookshelves. Desired location with easy access to I-85, with NC-273 widening will make your commutes smoother and faster!